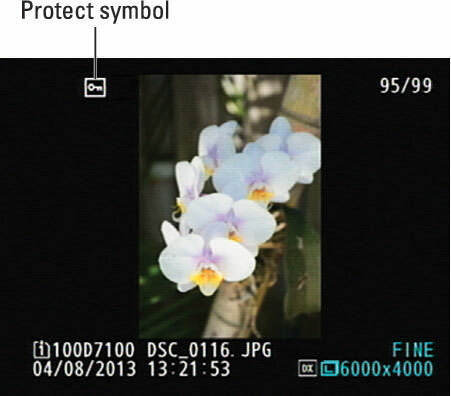 You can safeguard pictures from accidental erasure by giving them protected status on your Nikon D7100’s memory card. After you take this step, the camera doesn’t allow you to erase a picture by using the Delete button or the Delete option on the Playback menu. Formatting your memory card, however, does erase even protected pictures. In addition, when you protect a picture, it shows up as a read-only file when you transfer it to your computer. Files that have that read-only status can’t be altered until you unlock them in your photo software. In Nikon ViewNX 2, the software that ships with your camera, you can do this by clicking the image thumbnail and then choosing File→Protect Files→Unprotect.